I could listen to people’s personal stories about cooking and eating with their families for hours on end. Food truly does bring people together and bonds family members. I’ll never forget witnessing the intense feeling of sadness and regret when Neil’s aunt passed away and his cousin, her son, came face to face with the reality that he would never taste her hand-made lasagna ever again…That moment touched me deeply. Our family recipes, food rituals and meals should never be taken for granted. Father’s day is coming up this weekend and Fiesta Farms is running a really awesome contest in honor of dads and grandfathers and the food memories that surround them. 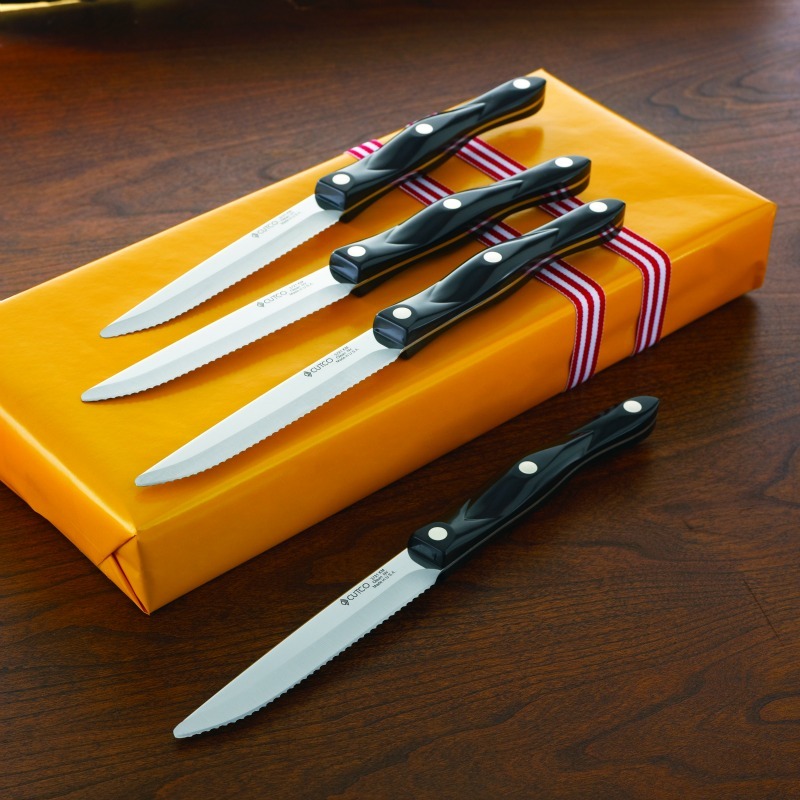 The 2012 Apron Strings Contest is a call out to Torontonians to share your stories, recipes and food memories about your dad or grandfather for a chance at winning one of three gift certificates to the store. All entries will be posted on the Fiesta Farms website and the top 3 will win the prize. You have until June 30th to share your story and you can enter here. 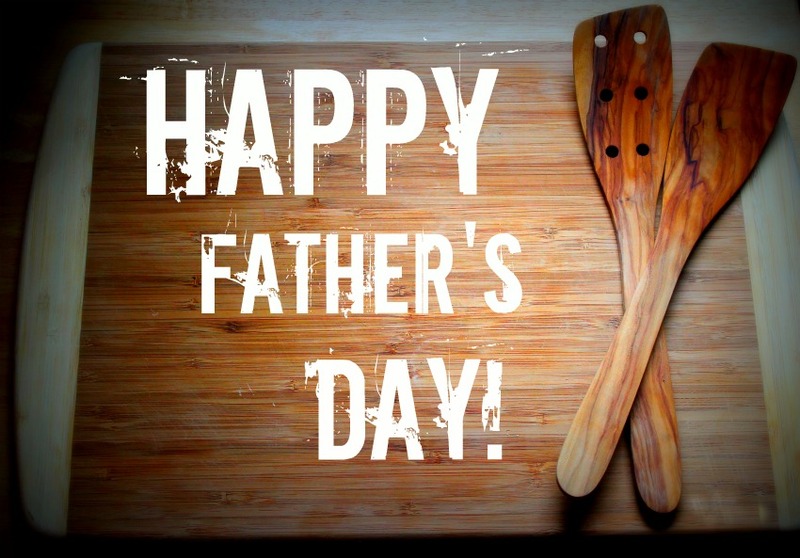 On top of that, the good folks at Fiesta Farms have put together Father’s Day cooking videos featuring families sharing recipes and cooking together for our viewing pleasure. They’re very cute and fun to watch. The contest inspired Neil and me to think about our own personal stories and we both decided to write separate entries for the contest. As a tribute to our dads, we wanted to share what we wrote with our Communal Table readers. Happy upcoming Father’s Day to our amazing fathers Phil Tryansky & Nick Faba and to all the dads out there! My grandfather was a complex man. The kind of person who didn’t say a lot and had a presence that some found intimidating. We spent many Christmas vacations staying at my grandparent’s condo in Florida. A traditional man, my grandfather was not one to help out in the kitchen and spent most of his days playing cards with his friends. But –my favorite memory of him, one that is still so vivid in my mind, is when he cooked for the family his one and only signature meal: Steak and French fries. He would banish everyone from the kitchen and get to work slicing and peeling potatoes to make homemade thick-cut fries (legendary in my own father’s childhood memories) and spice up huge steaks. I remember he would wear an apron, which would always make me take notice and instantly softened his stature. The smell of the fries frying always made everyone salivate and we couldn’t wait to get our hands on a plate of them. They were the best I’ve ever had; Oily, salty and soft yet crispy. I don’t know how he achieved perfection every time. He served the meal with extra spicy pickles that my dad would always proudly note my grandfather ‘doctored up’ himself and we would all sit down to a meal that allowed me to see a whole other side of my ‘Zaidie’. I cherish that special food memory. I don’t have a lot of childhood food memories that include my father. He worked a lot, and while we were fortunate to be able to sit down to meals as a family on a fairly regular basis, my mom was often the one to cook those meals. And since she’s always been something of an amateur gourmet chef and genuinely loves cooking, I tend to consider her my most important culinary influence. But in so many ways, my dad is responsible for how I think about and approach food. He was born in Italy, moving to Canada when he was 11 years old. Since crossing the ocean for a new life, his family has held on to the recipes and food traditions that had been so much a part of their ancestry and history in the “Old Country.” My zios (Italian for uncles) keep expansive vegetable gardens at their suburban Toronto homes, cellar salumi and cheeses in their basements to eat when they’ve been aged to perfection, and make their own (addictively drinkable) wine. Those ingredients have been central to many family meals I enjoyed as a child, and continue to enjoy now with my wife and other new family members. And while I’ve only recently realized it, my father is a pretty amazing cook in his own right. My parents separated when I was 16, and in the years immediately after that I don’t recall a lot of great meals with my dad. What I do remember (and what my sister and I tease him about still, even though I think it only happened once) was my dad serving us mashed potatoes that turned out to be from a box. At 19, I moved away to go to university, and after graduation I continued to live away from home for another five years. It was over that 10-year stretch that a slow, almost imperceptible change began to take place in my dad’s kitchen. Each time I came home and sat down to a meal, something new and different was in front of me – expertly prepared fish, risottos and meat dishes. When I started bringing Jenny to dinner at my dad’s, she was quick to compliment him on what he’d made, often asking for the recipe and for his cooking tips. I remember how I felt the first time she said to me, after a dinner my dad had cooked, “I can see where you get your great cooking skills from.” It was at that point that I began to realize that my father had always had great culinary skills. It had just taken him a while to feel the passion needed to really showcase those skills, and it took me even longer to recognize a part of him we’d both taken for granted. And I think that’s a lesson about fathers: Often, it’s so easy for kids to focus on ways they think their dads don’t measure up. But by doing that, we’re often missing out on appreciating the great men they truly are. Eating Raw with Doug McNish + a Giveaway! Several factors have prompted me to reconsider how I eat over the past couple of years. The first thing is simple enough: I’m getting older, and if I’m going to continue to eat bacon and foie gras from time to time, I know I need to focus on lighter and healthier meals when I’m not consuming rich foods. Also, I’ve slowly but surely gotten onboard with Jenny’s fascination with vegetarian cooking. And with my sister-in-law embarking on a career as a holistic nutritionist, I’m getting healthy eating info from yet another source. Raw food, in a nutshell, is vegan in most cases, and focuses on maintaining as many of the nutrients as possible in the ingredients used. That means that most of the dishes are prepared without heat, and those that do use heat are not heated beyond roughly 105 degrees. Given those parameters, someone who has never eaten raw might be excused for thinking that raw food must be boring and limited in flavour. But as I pointed out above, that doesn’t have to be the case, and the 400 recipes in Doug McNish’s book prove that. There is a wide variety of recipes for smoothies, breakfast foods, soups, mains and desserts that incorporate vegetables, herbs, fruit, grains, legumes and nuts to create flavourful and multi-textured meals. But there are clearly some limitations for those not fully invested in the raw food lifestyle. First, the heated dishes sound interesting, but require a food dehydrator (something my cramped kitchen isn’t equipped with). I can get my oven down as low as 170 F, but only a dehydrator can cook at a controlled 105 degrees, the temperature called for in most of these recipes. The book also doesn’t include cooking times. The recipe we tried, below, was prep-heavy. 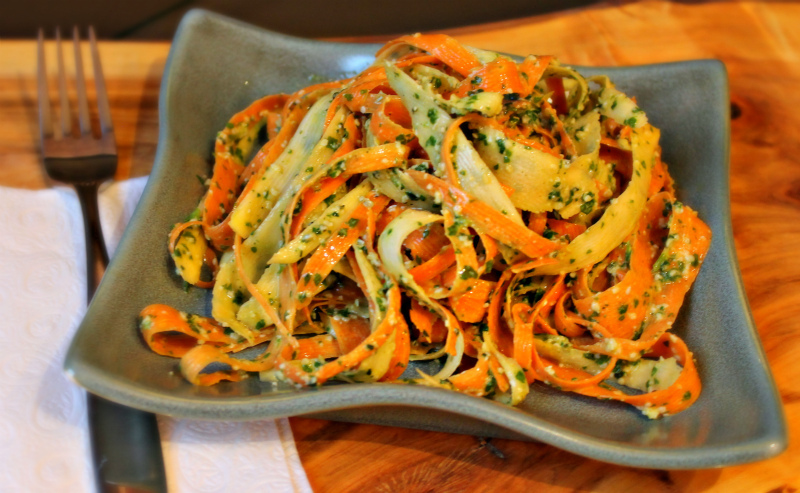 And while the 25 minutes or so that I spent preparing “noodles” with a veggie peeler was fairly low-stress work, I’m not sure I would have felt the same way on a Tuesday evening as I did on a Sunday afternoon. With cooking times listed, it would be easier to gauge which recipes one should attempt with the time they have available. Finally, there’s no nutritional value listed for the recipes in Eat Raw, Eat Well. We were concerned with the amount of protein in the dish we prepared, so we ate it alongside salmon. That said, this book is definitely staying in my kitchen. I can see myself working more raw meals into my diet, and I do think that a lot of the recipes here would also make for amazing side dishes next to fish or egg dishes. Want to win a copy of Eat Raw, Eat Well? We have one copy to give away to a reader of Communal Table. Just leave a comment below, letting us know why you want to win this book. We’ll pick a winner from all comments left by next Saturday, April 28, and post the winner’s name here as well as letting them know via email. Good luck! UPDATE 4/30: Congrats to “Onadistantshore,” who won our draw for a copy of Eat Raw, Eat Well. Enjoy the book! When Jenny and I made this, we decided to use just two garlic cloves instead of the three called for below, and in hindsight I think I’d use a bit less hemp seed oil than called for (maybe 2/3 of a cup). But we loved the fresh, vibrant flavour of the dish, and we’ll definitely make it again. 1. 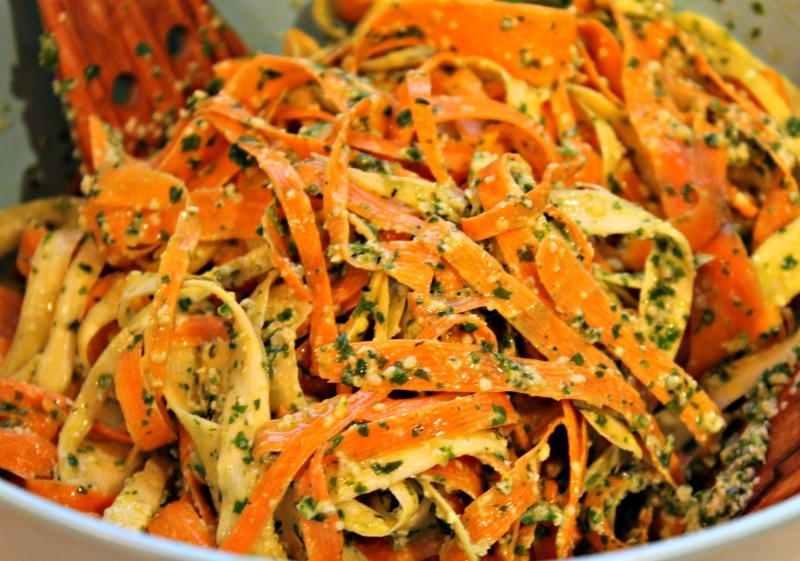 Using a vegetable peeler, peel carrots and parsnips into long, thin strips, dropping into a bowl as completed. Add olive oil, 1 tsp (5 ml) lemon juice and 1⁄4 tsp (1 ml) salt and toss until vegetables are well coated. Set aside for 10 minutes, until softened. Excerpted from Eat Raw, Eat Well by Douglas McNish © 2012 www.robertrose.ca Reprinted with permission. All rights reserved. Thanks to everyone for the great comments about your food experiences. I’m glad that we chose a winner at random, because having to pick the best entry from all the stories submitted would have been a difficult task. Natalie’s entry was one of five we received that drew upon an experience in Italy. Others mentioned memorable meals in other parts of Europe, while some had interesting stories to tell from even more exotic locations (Bora Bora, Bali, Peru). One commenter mentioned Treadwell restaurant in the Niagara region, where Jenny and I had one of our most memorable meals a few years ago, and another talked about Chicago, where we’re hoping to finally visit together this year (hopefully we’ll get to eat at Charlie Trotter’s iconic restaurant, which is closing this August after 25 years). For some, the most memorable food experiences took place in their own kitchen. Ultimately, I think the range of stories we read serves as proof of something Jenny and I both believe – wherever you are and whatever you’re doing, food will always be a central part of what makes it special. I have so many great food memories. But Italy – where Jenny and I travelled together in 2010 – stands out for so many reasons: taking a cooking class in Florence taught by June Bellamy, a native of Burma who’d relocated to Italy in the 1980s to teach both Italian and international cooking; discovering the Florentine delicacy lampredotto – boiled cow stomach served on a bun with salsa verde (sounds awful, tastes incredible) – at Nerbone in Florence’s amazing Mercato Centrale; and a meal at Ristorante Papa Re in Bologna that was life changing (a term I don’t throw around loosely). Thanks again to everyone for entering – and don’t forget to come back in a few days to see Jenny’s look at all the action from tonight’s Almost Famous Canadian regional finals. Almost Famous Chef Competition and Win Dinner at Lee Restaurant! Last year, Jenny and I were invited to the S. Pellegrino Almost Famous Chef Competition’s Canada regionals in Toronto. The event brought together culinary students from schools all across the country, all vying for the chance to represent Canada at the Almost Famous Chef Competition final in Napa Valley, California. We loved the chance to see some of Canada’s next generation of chefs showing off their skills under pressure, and we were amazed by the dishes they produced for judging. 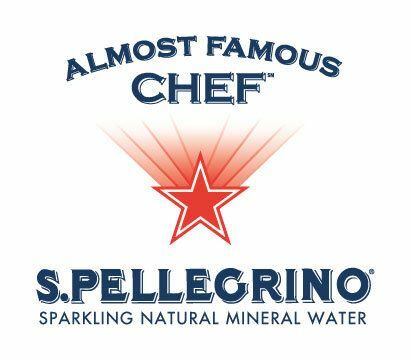 This year marks the 10th S. Pellegrino Almost Famous Chef Competition, and the Canadian regionals are coming up next Monday, January 30. We’ll have a rundown of all the action after the event. 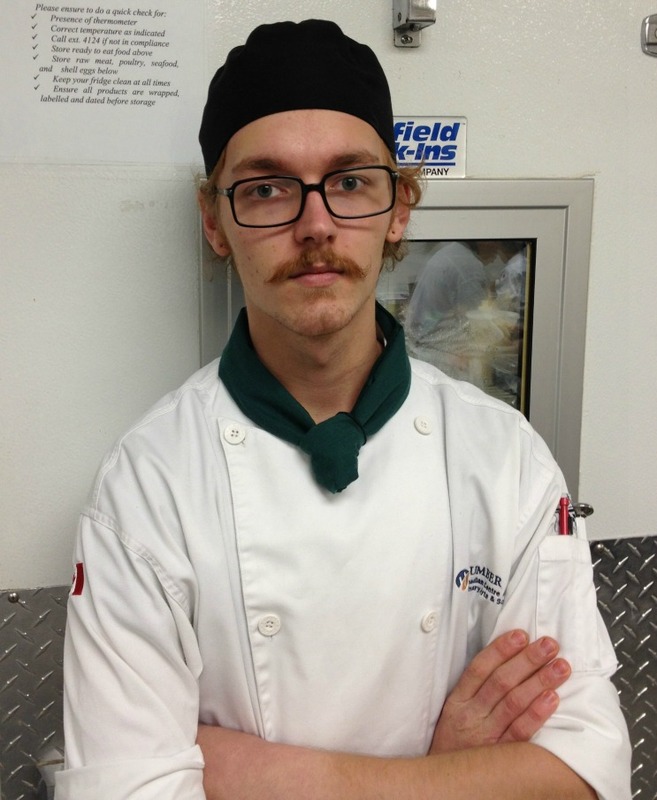 But in the meantime, we had the chance to chat with Cole Nicholson, a culinary student at George Brown College who’ll take part in the competition. We were also given a great prize to give to one of our lucky readers: a $150 gift certificate to chef Susur Lee’s Toronto restaurant, Lee. Keep reading to find out how you can win. But first, check out my interview with Cole Nicholson. I’ve been cooking for about three years now. I started working in a restaurant when I was 17 years old and I took the culinary management program at George Brown when I finished high school. I’m usually one of the youngest people in the kitchen, if not the youngest, so it makes it kind of fun and a lot more people are open to teaching me new things. What first inspired you to get involved in the kitchen? The high school that I went to was originally a trades high school when it was opened; it had professional auto shops, carpentry labs and a full production kitchen. Part of the curriculum was to take a trade class. I decided to take cooking because nothing else really interested me and I thought it would be a good life skill to have. I ended up taking it all through high school and I really learned a lot. In my grade 11 year, the school got a new cooking teacher. He was completely different from any other teacher at the school– he was only 27 years old and this was his first teaching job. He was fresh out of the industry and was up on modern cooking techniques and styles. He made me realize that cooking could be cool. He changed a standard cooking class into something so much more; we learned how to make fresh tomato sauce, veal jus, homemade pasta and ravioli, even butchery. If not for him, I would have chosen a completely different career. Why did you choose the culinary arts program at George Brown? How have the curriculum, instructors and interactions with others in Toronto’s food community helped you expand your skills in the kitchen? When I first started researching culinary schools, George Brown really stood out to me because of the number of people that have graduated there and gone on to be successful. Almost every great kitchen in Toronto has someone that went there and I thought it was a great way to make connections. The teachers are amazing. Every one of them knows a lot and they are passionate about teaching. Many of them have great connections and are open to helping you with your career. What cuisines and/or ingredients are you most passionate about? I just got back from working and living in Italy for four months as part of my Italian program at George Brown. I worked in a great restaurant called Il Baluardo in the Piedmonte region of northern Italy. It was extreme culture shock at first, but being back home I miss everything about Italy. They have an amazing respect for food and ingredients and their lives revolve around their daily meals. I learned so much while in Italy and I came back to Canada with a lot of passion for Italian food and culture. I don’t really think I am old enough or experienced enough to really have my own “style” of cooking yet. I love to learn new techniques and try to figure out new ways of preparing something. My favourite styles to learn from are chefs who use a lot of old school techniques and flavours in their cooking, but done in a modern way to get the most out of their product. What current food trends are you most excited about? The trend that excites me most right now is chefs having relations with farmers and purveyors and really promoting them in their restaurants and on their menus. I think this all really started with Thomas Keller at the French Laundry, but many other great chefs around the world and in Toronto have gone on to do the same. I was first notified that I would be competing in the competition by my teacher back when I was in Italy. I was notified in October and had to have my menu submitted in November. I had no way of practicing while in Italy, so I did a lot of research on seasonal products of Canada at the time of the competition. I put a menu together using seasonal products that I find interesting and challenging to work with. I was a little homesick at the time, so my dish is pretty Canadian. When I got back to Canada a few weeks ago, I started practicing at the school and the dish came together. I’ve been practicing two or three days a week and refining the dish. Have you heard much about previous years’ competitions to get a sense of what to expect and what’s worked for the competing chefs? I had not really heard much about it until the student from George Brown (Jean-François Daigle) won the Canadian regional competition last year. His coach, who is now my coach, was one of my culinary instructors last year and I expressed interest to him in competing this year. One of the students in my program, Brian Cheng, competed two years ago and once he found out I would be competing he gave me a lot of helpful advice. He told me a lot of basic considerations to take into account when preparing the menu: proteins that I shouldn’t use, things the judges look for. What are you hoping to do with your career once you’ve graduated from George Brown? I really want to work in the U.S. I think that they have a lot to offer and I could learn a lot working there. Chefs there are combining some amazing skills and techniques with great products to produce some of the best food in the world. I have a list of places that I want to work at: The French Laundry in Napa Valley, Le Bernardin in New York City and Alinea in Chicago. What chef would you most love to cook with? If I could cook a meal with any chef, it would be Thomas Keller. I had the opportunity to meet him and hear him speak when he was in Toronto a few years ago. He completely changed my outlook on food. His whole approach to food and respect for ingredients and people is something to learn from. The French Laundry cookbook is like my bible, not for the recipes necessarily, but for the philosophy and wisdom. I had the opportunity to eat at his restaurant Per Se in New York City last year and it was a life changing experience. I knew after that meal what I wanted to do with my life. WIN A $150 GIFT CERTIFICATE TO LEE RESTAURANT! Click here to leave a comment, telling us about your top food experience. It could be a great restaurant meal you had, a food adventure like taking a cooking class in a foreign country, something amazing you cooked in your own kitchen, or a food memory from your childhood. The possibilities are endless. Whatever your favorite food experience is, we want to hear about it. We’ll take all the comments we’ve received by 11:59 p.m. this Sunday, January 29, assign each a random number, and then choose a winner at random using random.org. **You don’t have to live in Toronto to win, but the prize includes the restaurant gift certificate only (no travel expenses, etc), which means a winner from outside of the Greater Toronto Area must plan to be visiting Toronto in the near future to use the gift certificate. Congratulations to Karen Mwachikobe, who has won two passes to the Cheese Fair and Artisan Food Market taking place June 5 in Picton, Ontario as part of the first Great Canadian Cheese Festival. This looks like it’s going to be a great event, and it should give you and your husband the opportunity to sample an amazing variety of cheeses from all across Canada, as well as local wines and beer. The details for the Cheese Fair and Artisan Food Market can be found here. But remember, there are many other great events happening as part of the Great Canadian Cheese Festival weekend. Go here for the full schedule and to purchase tickets to any of the other events.